Congratulations to Shan Chin (New York) who was randomly selected to win a SET of Steven Erikson’s Malazan Book of the Fallen series (UK Version) including copies of “Gardens of the Moon”, “Deadhouse Gates”, “Memories of Ice”, “House of Chains”, “Midnight Tides”, “The Bonehunters”, “Reaper’s Gale” and the new book, “Toll the Hounds”, all thanks to Transworld!!! “Toll the Hounds” is now officially out in the UK, but if you’re waiting for the US version, that will published by Tor Books on September 16, 2008 and can be pre-ordered HERE. 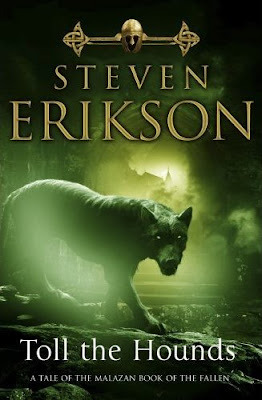 As far as a review, I have a copy of “Toll the Hounds” and will definitely review it sometime between now and its US release, but in the meantime, you can read Fantasy Book Critic’s interview with Steven Erikson HERE. 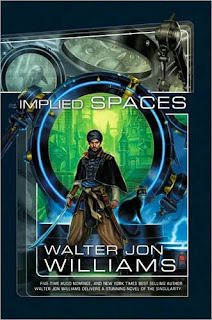 Night Shade Books is proud to announce the publication of Walter Jon Williams' new novel, Implied Spaces. To celebrate the release of the book—which Kirkus Reviews describes as “an intelligent, delicate and precise novel of real depth: a pleasure to read, an undertaking to savor"—Night Shade has posted a self-contained excerpt from the book on their website. But that's not all :) They've also posted a short interview with Walter about the book, and, with Walter's kind permission, have posted the complete text of his Nebula Award-winning novella “The Green Leopard Plague.” Both texts can be found in a variety of formats (PDF, HTML, Rich Text Format, MobiPocket) on Night Shade’s DOWNLOADS page. Aristide, a semi-retired computer scientist turned swordsman, is a scholar of the implied spaces, seeking meaning amid the accidents of architecture in a universe where reality itself has been sculpted and designed by superhuman machine intelligence. While exploring the pre-technological world Midgarth, one of four dozen pocket universes created within a series of vast, orbital matrioshka computer arrays, Aristide uncovers a fiendish plot threatening to set off a nightmare scenario, perhaps even bringing about the ultimate Existential Crisis: the end of civilization itself. Traveling the pocket universes with his wormhole-edged sword Tecmessa in hand and talking cat Bitsy, avatar of the planet-sized computer Endora, at his side, Aristide must find a way to save the multiverse from subversion, sabotage, and certain destruction. From Walter Jon Williams comes Implied Spaces, a new novel of post-singularity action, pyrotechnics, and intrigue. Williams, whose name has long been synonymous with state-of-the-art science fiction, builds on the prophetic futurism of Vernor Vinge and Charles Stross, adding his own brand of poetic prose, masterful plotting, and engaging storytelling. 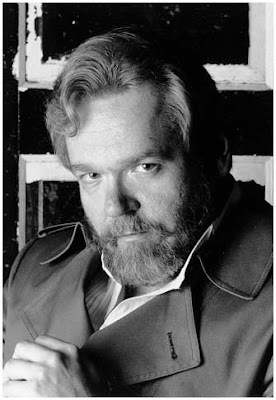 Walter Jon Williams is a two-time winner of the Nebula Award, a five-time finalist for the Hugo Award, and a New York Times best-selling author. 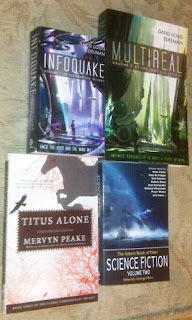 He is the author of several novels, including Hardwired, Metropolitan, Angel Station, and the Dread Empire's Fall series. He is part of the “Sigma” think-tank, a group of science fiction writers working with the Department of Homeland Security to avert terrorist threats. Moving on, Fangs, Fur and Fey, the largest online community of published urban, young adult and contemporary fantasy and paranormal romance writers, teams up with the Conestoga Sci-fi/Fantasy Convention to present this year's “Con Within a Con”, commencing July 25th at the Tulsa Radisson Hotel and Conference Center. Fans of vamps, ghouls, werewolves, demons, faeries and a legion of other fantasy creatures will be in heaven...or hell, depending. The online community's founders—and New York Times bestselling authors—Melissa Marr and Jeaniene Frost, along with Caitlin Kittredge (Night Life) and Mark Del Franco (Unquiet Dreams) will be joined by Special Guests Rachel Vater of Folio Literary Management and Miriam Kriss of the Irene Goodman Literary Agency and a slew of authors representing some of the best fiction this innovative genre has to offer. In addition, the Guest of Honor at Conestoga 12 will be the wildly popular Diana Gabaldon, author of the Outlander series. The Fangs, Fur and Fey “mini-con” at Conestoga 12 promises to be the biggest urban fantasy event for fans and aspiring writers in the region. Among activities and panels planned are author speed-dating (interrogate authors one-on-one! ), Thrust and Parry Theater (action scenes play out live before your very eyes), readings, signings, and discussions of world building, creatures, dark fantasy and the ever-elusive comic relief.